When is the best time for a new mom to get things done? When the baby is sleeping, of course. But what if the mom needs to go shopping – not so easy right? Thanks to modern technology, dragging your babies and children shopping is a thing of the past. Crowds, queues and impatient children make shopping quite a chore. Carting children from store to store to find the perfect item at the perfect price can cost you more than gas money – it can cost you your sanity. The solution? Internet shopping. You can now find everything online: diapers, formula, bottles, clothes, furniture, the list is endless. You also have a wider selection and can pick and choose based on your own criteria and price range rather than relying on a store’s buyer or availability. Some people are afraid to buy online and while you do have to be cautious, things are a lot more secure than they used to be. More and more sites are instituting anti-fraud measures and standard encryption methods. Services such as PayPal increase security and limit who has your financial information. You can use PayPal on eBay, meaning you can buy second-hand goods without passing on your details to a stranger. Best of all, it does not cost a cent to sign up at Paypal. To ensure you and your family are getting quality products, it is usually best to buy from companies you have heard of, as they have a reputation to uphold and will usually give you better service. Health4mom.org has expert-recommended products available through Amazon, to help you choose safe items online. Remember that shopping online is not so different from shopping elsewhere- keep your receipts and if you are not happy with a product, you can send it back. Check the website’s returns and exchange policy to find out how to do so. As with using any sites on the internet, make sure you keep your browser and anti-virus software up-to-date to protect your computer. With common sense, internet shopping can be an excellent, safe way to save time and money. Flit.com puts more than 500 hand-picked stores at your fingertips. You just type in the item you want and if you want your search sorted by high end stores or value stores. Flit searches lists the stores for you in a way that it is easy to flick from one to the next to see what each has to offer. It is always worth checking Amazon.com, no matter what you are looking for. You’ll pay shipping on some things, but often you can get free shipping based on how much you spend or the item you are purchasing. You can buy items from Amazon recommended by experts on our site, health4mom.org/shopping. 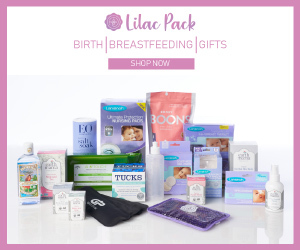 Diapers.com is a great destination for all baby items online from diapers and formula to car seats and stretch mark cream. 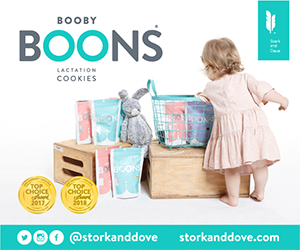 The site has changed the way moms shop for their babies by offering free overnight shipping on a huge selections of items with free returns and best prices guarantees. It can be stressful when you are planning for a baby – and/or already have a new baby – to find products that will help make your life easier. At health4mom.org/shopping, we have found some of those items for you. Whether decorating the nursery, looking for a baby carrier, searching for safe bath products, an organic crib mattress, breast pumps, and other pre‑and-post baby needs, you can find these expert-recommended items here. Don’t just shop online – save online! Going virtual doesn’t mean you have to kick the coupon habit – you just need to know where to go. This is an easy way to navigate for online coupons and deals that can be real money- and time-savers for moms looking for anything from clothes to housewares to baby gear to party favors. Retailmenot.com is a site which helps you find coupons to save on purchases or get free shipping. You can search the product you want or you can search by store and it will give you a list of sale coupon codes. It also has a place where people can write in if they have problems with the codes being expired or not working. This site is perfect for comparison shoppers. You enter your item and it searches for the best deal. They boast that they can check 10,000 coupons and deals for 26,000,000 items from 12,000 different stores – imagine the footwork you are saving!